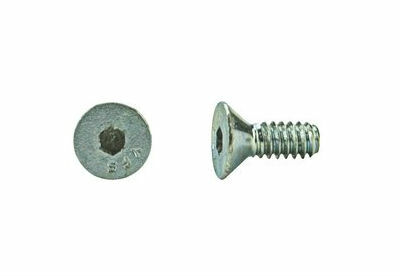 Flat Head Socket Cap Screws are used for flush mounting of sections, usually where one part slides over another part or one part is mounted on another. Flat head screws are limited by configuration in their tensile strength capability. Zinc plating, retards the corrosion rate in a normal atmosphere.